Press TV- Leader of the Islamic Revolution Ayatollah Seyyed Ali Khamenei says Palestine will finally be freed from the clutches of enemies and that Jerusalem al-Quds will be the capital of Palestinian state despite US attempts to distort this reality. 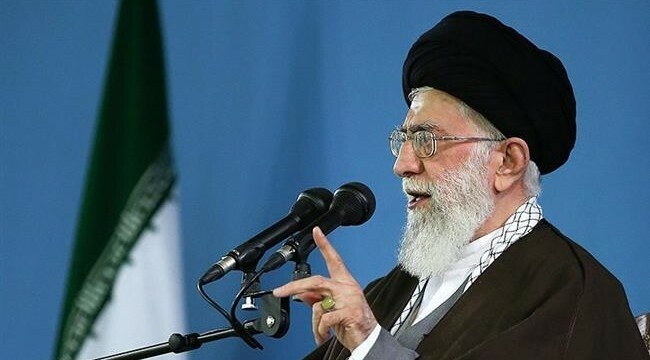 Ayatollah Khamenei was speaking on Thursday at a meeting with Qur’an reciters in Tehran, which marked the first day of the Muslim fasting month of Ramadan. “God willing, Palestine will be liberated from the grip of enemies and America and its stooges will not be able to a damn thing via-a-vis truth and the divine tradition,” said the Leader. The Leader further denounced Israel’s latest bloodshed in Gaza, which saw the regime’s forces killing about 60 Palestinian protesters and wounding more than 2,700 others on May 14. As the bloodshed was underway, the US relocated its embassy from Tel Aviv to Jerusalem al-Quds months after Washington announced it was recognizing the occupied Palestinian city as the “capital” of the Zionist entity. “Under such circumstances, some complain why the US does not take a stance [against Israel]. This is while America and many Western governments are complicit in these crimes,” the Leader said. Ayatollah Khamenei further stated that the Islamic Ummah and Muslim governments are duty-bound based on the teachings of the holy Qur’an to adopt a firm position and stand against Israel’s crimes against Palestinians. “The Qur’an tells us to be adamant in the face of the enemies of religion and infidels and be kind among ourselves, but at the present time, because of drifting away from the Qur’an, we are witnessing war and discord among Muslims and submission to infidels in the Islamic world,” the Leader said. The Leader’s comments came on the eve of an emergency meeting of the Organization of Islamic Cooperation (OIC) in Istanbul, Turkey. President Hassan Rouhani has called on OIC members to seize the opportunity at the Istanbul event and give a “due response” to the Zionist regime over its latest massacre of Palestinians.